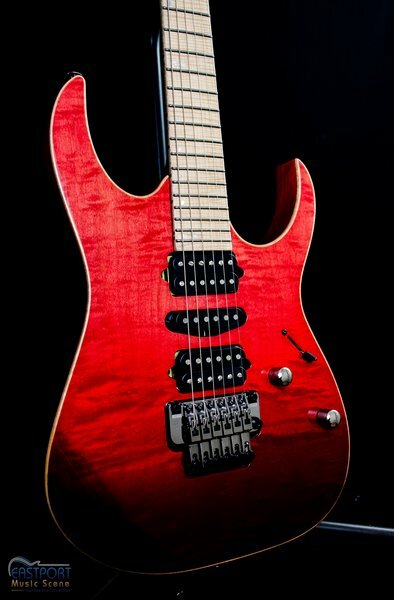 Eastport Music Scene is proud to present the Ibanez RG6PCMLTD Limited Edition Premium Electric Guitar with case included. 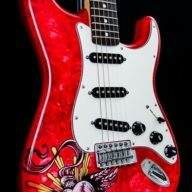 This guitar is in a stunning Sunset Red Graduation high gloss finish on a Curly Maple topped Ash body. DiMarzio Air Norton, True Velvet and The Tone Zone pick-ups with 5 way selector switch. This is no ordinary Wizard neck. It’s an 11 piece Wizard neck comprised of Wenge, Bubinga, Maple and Purple Heart. The fretboard is Curly Maple with Mother of Pearl off-set inlays and Luminescent Side Dot Inlays (tested and they look really cool in the dark). 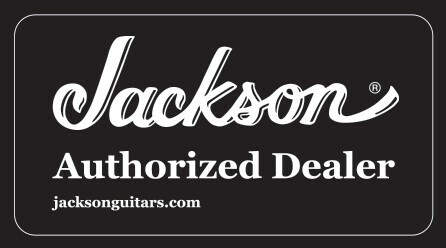 Jumbo Stainless Steel frets with Premium fret edge treatment. Tie it all together with an Edge-Zero II Tremolo Bridge and Gotoh MG-T Locking Machines and you are all set. Comes with case. 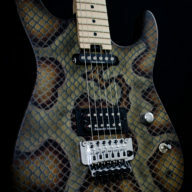 A beautiful Limited Edition Guitar from Ibanez. 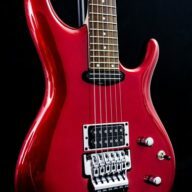 Eastport Music Scene is an “Authorized” Ibanez Dealer. 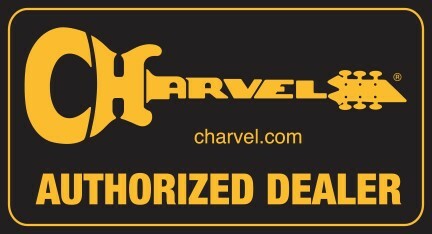 If you have any question about this listing or any other listing we have on ebay, please give us a call @ (631) 325-6972.